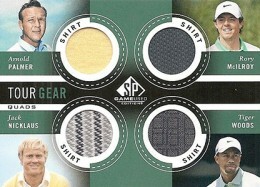 Not all autographs and memorabilia cards in 2014 SP Game Used Golf are created equal. At least in equal numbers. 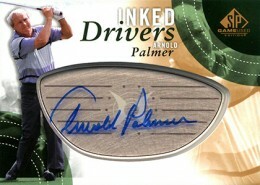 Below is a list of the confirmed 2014 SP Game Used Golf Inked Drivers and Tour Gear short prints. All take a tiered approach that results in some being very rare and others being only slightly tougher than the most common cards. 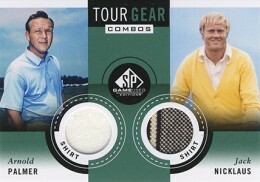 TG2-WP Jimmy Walker, Ted Potter Jr.